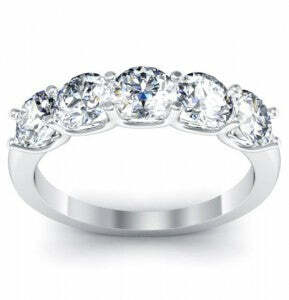 Birthstones have always been a popular choice in jewelry worn in all different types and styles from rings to earrings. This also makes them exceptional gift choices for any occasion for birthdays especially, but for holidays, anniversaries, and more. This time we will be taking a look at the precious gemstone options for each month. In several birthstone customs from around the world, the garnet holds its position as the birthstone gemstone for the month of January and is the birthstone for Aquarius. 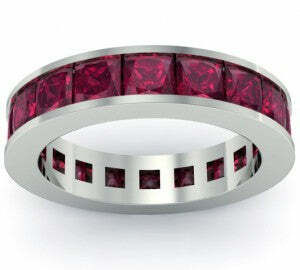 This wonderful, glowing stone has a deep red color with an effulgent glow that comes from within. The name of the stone itself comes from a Latin word that means “seed” or “grain” and is a reference to the stone’s similarity to a pomegranate seed. 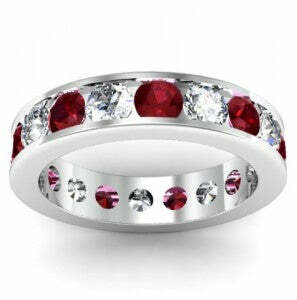 One alternate for January, however, is ruby as it is the birthstone for Capricorn. Most traditions show the amethyst to be the birthstone for the month and appropriately so as it was the gemstone choice for St. Valentine who wore the stone as a ring. In religious circumstances, the amethyst is a symbol of sacrifice, spirituality, piety, and purity and while St. Valentine maybe have donned the stone originally for those purposes, it is likely that the amethyst is particularly tied to February because of him. Some ancient alternatives to the amethyst also include hyacinth, which is a form of red zircon, and the pearl. Pearl, however, is quite soft and caution should be taken when wearing them in jewelry. The bright aquamarine is accepted in more modern listings of birthstones as the birthstone for March. This stone’s name derives from the Latin word for sea water and is often regarded as water droplets from the sea itself. In myth, they were believed to be gems that were highly prized by mermaids and sailors would take them with them as charms for a safe voyage as it was thought that one could bribe a mermaid to swim them to safety should they find themselves overboard. 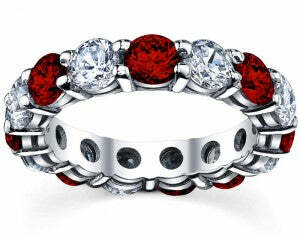 The more traditional birthstone for March is typically the bloodstone or heliotrope. But like many opaque stones, the bloodstone isn’t really suited for fine jewelry. The diamond is pretty universally thought of as the birthstone for April and is of course the most sought after and prized of all the birthstones for it’s classic and pure beauty. Resilient and a symbol for strength and love that lasts for eternity due to its great hardness. The ancient Greeks believed them to be the tears of the gods while Romans thought they were splinters of fallen stars. While the white diamond is the sort that people typically think of when they hear the word “diamond”, diamonds come in all sorts of colors. Black diamonds have a sort of classy chic appeal. Blue diamonds are simply stunning. 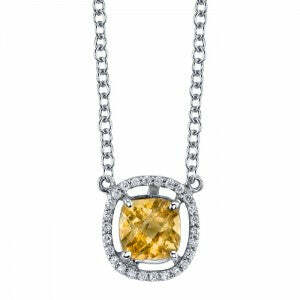 Yellow diamonds can be as luminous as the sun. 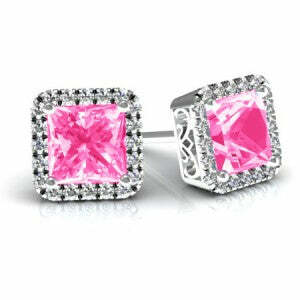 Pink diamonds are charmingly sweet, but extraordinarily pricey. One of the more recent trends include diamonds of the more brownish hue with champagne diamonds for the lighter grade and chocolate diamonds for those of darker tints. Brilliant emeralds are the precious gemstone choice for the month of May. With a beautiful hue of green, these stones are thought to embody hope and preserve love. However, while emerald is a highly sought after precious gemstone, and as a form of beryl, has a mineral hardness of 7.5-8 on the Mohs scale of hardness, many emeralds often have surface breaking fissures in them that cannot be seen with the naked eye. It is also an accepted practice to treat them with oil to improve their clarity, however, this obscures some of those fissures which can compromise the integrity of the stone and make these otherwise lovely stones prone to breakage which is an issue of concern because customers pay a premium to get a magnificent emerald and expect it to hold up. Because of this, we only offer emerald in our collection of mother’s jewelry. As a result, the closest precious, shiny gemstone we can recommend as an alternative to the emerald would be the peridot, which is sometimes referred to as the evening emerald as in the dim light of the night, the two stones are relatively indiscernible. 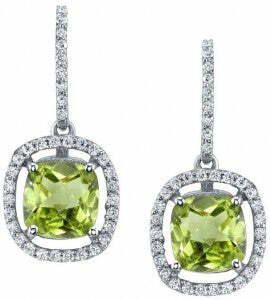 Many fine specimens of peridot have also been found in Cleopatra’s jewelry when they were once thought to be emeralds. The typical birthstone for June is often thought to be pearl, moonstone, or alexandrite, but rhodolite garnet is regarded as an alluring alternate for fine jewelry by the trade. The reason being that both pearl and moonstone are opaque stones and can be quite soft in comparison to other gemstones (pearl much more than moonstone) and require great care. Alexandrite on the other hand is a truly delightful gemstone that is a form of chrysoberyl that is sufficiently hard and able to be mounted into jewelry, but the stone is pretty rare and typically more expensive than even diamonds. Because of that, the industry has adopted the rhodolite garnet as an affordable alternative for those with June birthdays due to its similar pinkish purple coloring to many alexandrite stones. Flamboyance and passion are represented in this vivacious gemstone. The warmth that can be felt from the ruby is fittingly a wonderful birthstone for the mid-summer month of July and is an excellent way to demonstrate devotion and love to someone you care for. As with other months, there are alternate stones for July in the form of the turquoise, onyx, or carnelian, but as with other opaque stones, these minerals are not necessarily suited for fine jewelry. Sapphire is also thought of as an alternative for this month in Hindu traditions, which is rather fascinating because both the ruby and sapphire are different forms of the mineral corundum. The light green color of peridot has a feel of springtime like freshly grown grass and has been thought of as a symbol of the renewal of life and nature. Because of this, the peridot also signifies youthfulness and when paired with the summer month of August represents a feel of endless summer. Peridot is also a volcanic rock and can be plentifully found in Hawaii where they are thought to be tears of the volcano goddess Pele. It was also held in high regard by early Egyptians and referred to as a “gem of the sun” and used heavily in much of Cleopatra’s jewelry collection. 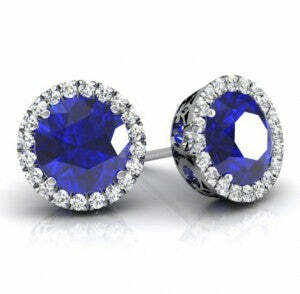 Deep blue sapphires are the stone typically associated with the month of September. These stones are exceptionally sentimental representing the ideas of sympathy, harmony, friendship, honesty, and loyalty. They come in virtually every color of the rainbow although the red variety of the corundum species is classified as a ruby instead and goes for a much higher premium than the sapphire. Generally, when the word “sapphire” is mentioned, the cornflower or ceylon blue variety is what comes to mind, but those who want to show off their September birthstone pride can really go with any color sapphire that they wish. This spectacular gemstone recently got a lot of buzz about it from being a part of the British royal wedding as the engagement ring given to Kate Middleton and the heirloom left by Princess Diana. Traditionally, the birthstone for October is the opaque mineral opal, which again is quite different from the other beautiful precious gemstones offered in our jewelry. The typical alternative to the opal is generally tourmaline, but the pink sapphire is also a suitable alternative which is harder and close in hue to the tourmaline. Pink sapphire carries much of the same sentiments as its blue counterpart, but also adds a sense of romance, grace, and sweetness thanks to its playful pink coloration. October is also the month for breast cancer awareness, so a jewelry piece made out of pink sapphire is also an excellent way to demonstrate surviving cancer, honoring someone who had breast cancer, or commitment to finding the cure. The birthstones for November typically have the yellow to amber coloring in common. The traditional birthstone for the month is the topaz and citrine in more modern birthstone listings, but we also offer yellow sapphire as a premium gemstone alternative for the month that is exquisite, and radiant. The coloring of these stones truly fit in with the season, which is filled with the imagery of reddish to yellow fallen leaves. Both yellow sapphire and citrine are believed to be stones that embody success and aid in intellectual pursuits, making them excellent gift ideas. The winter month of December is usually associated with stones of a bluish color like turquoise or tanzanite, but also has the blue topaz as its birthstone of choice in some modern lists. 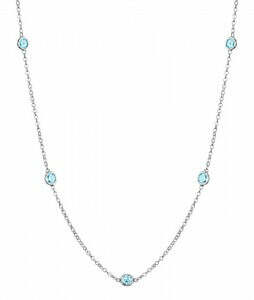 The blue topaz is a stone of self-expression, creativity and individuality that also reflects understanding and wisdom. It has a very calming color and is very well suited with its light blue coloration for the cold month of December. We hope that you enjoyed this look at the precious gemstone varieties that we offer for each month of the year. We have a wide assortment of jewelry options that would make perfect presents for any occasion all over our site making it a spectacular place to find that ideal gift for that special someone.